That’s quite a claim to make. After all, what factors actually go into making a company ‘The Best’? Are they the best from an investment standpoint? Do they make big profits? Are they the best from a customer’s standpoint? Are most customers satisfied with the service they get and the range of products that the company offers? Maybe we should look at the company from the workers’ viewpoint. How good is it to work for a particular company? When Forbes Magazine formulated its list of the most admired companies of 2014, they used the following criteria. And, according to these criteria, the following results were obtained. As you can see, Amazon.com comes in second behind Apple. But a good case could be made for Amazon being the more ‘online’ company, and I’m trying to determine the world’s best online company here. There is another key attribute that seems to be missing in the Forbes’ criteria: Customer service and satisfaction. This is because the survey comes from the opinions of 15,000 directors and upper management people. To find out how customers feel, we have to consult the Temkin Customer Service rankings. If we do so, this is what we find. We can see that Amazon is tied for second in customer service ratings and is the number one retailer, Thus, by default, it is the best online retailer. The firm Wall St. 24/7 assesses customer service on a yearly basis. For the past 5 years, Amazon has topped the list, and the competition is not even close. Amazon received an excellent rating from 57.5% of the 2,500 people interviewed while its nearest competitor, Hilton Worldwide, received just 41.4%. So, at least in the U.S., it is fairly easy to make a case for Amazon being the best online company, but what about its rank in the world? That seems like a more difficult claim to make and even more difficult to prove. World rankings for customer service are rare. Temkin gives only rankings for the UK, where Amazon ranks third overall and first among retailers in customer experience and trust. However, in terms of country customer service rankings, the U.S. and U.K. come in as 14th and 15th respectively. It’s not real clear what this means. Are New Zealanders (ranked 1st) easier to satisfy than Americans? Are they more reluctant to complain? In any event, if people in the U.S. are harder to satisfy, a high customer service score for Amazon seems to reflect well upon the company. Amazon is no longer the world’s largest online company. It is now a distant second to China’s Alibaba. But are the two company’s comparable? Well, they are both online companies but with somewhat different models. Alibaba basically serves to connect people with companies or companies with companies. It sells nothing directly and, thus, has no warehouses. Customer service is not the priority it is for Amazon, no matter how much Jack Ma says it should be. This brings us to the biggest question of all: Is Amazon or Alibaba the world’s best online company? Is bigger necessarily better in this case? Well, it helps. Being bigger gives Alibaba the ability to offer a wide range of products from numerous companies, most of which are Chinese. For buyers in Europe and America looking for cheaper Chinese goods, there is basically only one place for them to go. The initial flurry of interest caused by Alibaba’s Wall Street IPO was certain to generate profits and put Amazon on the defensive. However, Amazon had already been dueling with Alibaba in China where it has slowly been gaining in acceptance among Chinese consumers. Alibaba’s basic problem is one of trust. 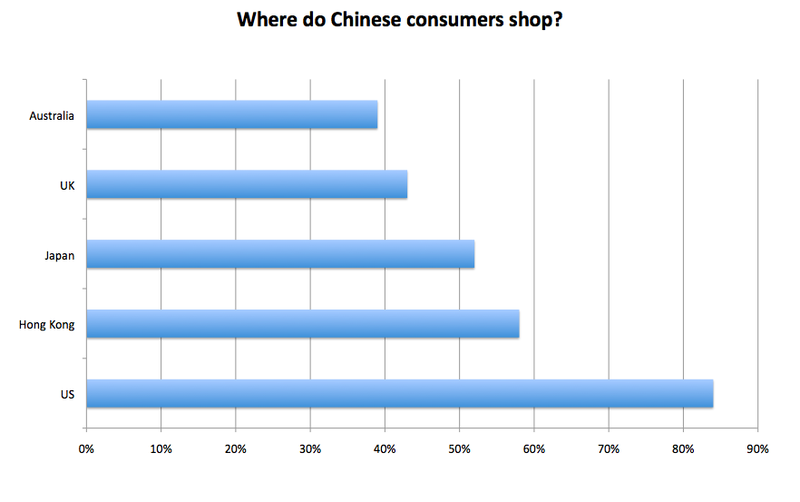 Do Americans really trust dealing with Chinese companies? Even Alibaba admits that 23% of its complaints have to do with customers being scammed. Then there is the problem of higher shipping costs from Asia and in dealing with people who may not be very good English speakers. What happens if the items you receive are not what you expected? Will you get the same customer service that Amazon gives you? How much more will it cost to ship the item back to China? Although Alibaba claims to validate companies participating in its network, it is clear that these efforts are falling short. In June, I wrote a post on a Chinese manufactured smartphone that was found to contain factory-installed spyware (Amazon and eBay Stop Sale of Samsung Galaxy 4 Clone: Chinese-Made Star N9500 Found to Contain Pre-Installed Dangerous Spyware). Although Amazon pulled this phone from its site, Alibaba continued to sell it. In fact, it apparently is still selling it as this link seems to indicate. On its side, Amazon is having no easy time in China. It misunderstood some cultural expectations and has taken time getting its customer-first strategy through to buyers. But it is beginning to gain ground in this increasingly consumer driven economy. More affluent buyers prefer foreign and especially US products, and where better to buy them than on Amazon. Those Chinese who have returned after living abroad will not accept the casual treatment given them by many Chinese companies. Ed Dean, founder of Shanghai-based customer service consultants group JETT, claims that the attitude of companies towards customers is changing, “You need to care about repeat business and this comes from a good reputation. A good reputation comes from having a good brand and good service.” So, in terms of customer service and evolving consumer demographics, Amazon appears well positioned to extend its influence in the Chinese market. I cannot be so optimistic about Alibaba in the U.S. I became a member of Alibaba to check out its interface and service. I decided to order something I’ve been looking for on Amazon, an anemometer. A Chinese company offered one I liked at a good price. The English explanation was somewhat confusing and the diagrams were in Chinese. I was not sure if a cable was included with the purchase or not. I decided to communicate by chat with someone who would help me. They did not actually answer my question, but sent me some diagrams. I was also informed that I could not pay by credit card. I could pay through PayPal or T/T, which I later found out meant Telegraphic Transfer. However, Alibaba states, “To protect yourself from fraud, please complete your transaction via Escrow by taking all the required steps. We do not recommend making payments directly to the suppliers. Payments should be made to Alibaba.com’s Escrow accounts.” This all seemed too complicated. It worried me enough to abandon the attempt at a purchase. On the other hand, my problems with Amazon purchases and deliveries have always been solved to my satisfaction. I expect that Alibaba will continue to make profits; far more profits than Amazon. No doubt they will attempt to upgrade their customer service. However, the issue of mistrust is one that will persist for some time. If negative stories about scams or poor service surface, it could push more and more people away. It is a very delicate time in Alibaba’s international profile. At the same time, Amazon must persist in its high level of customer service and customer trust. Amazon would be devastated by a large scale cyber attack as this would destroy customer trust and put them on a par with Alibaba. At such a point, all bets are off. But for now, there is little doubt in my mind that, pound for pound, Amazon is the world’s best online company. 61% of American shoppers are worried about online shopping transactions. If you are an online retailer or internet service provider, you owe it to your customers to keep them safe. Make your network Secure Shopping Enabled. Keep your customers and your reputation safe. Posted on December 8, 2014 December 9, 2014 by Steve MierzejewskiTagged amazon, Amazon vs alibaba, best customer service, Is Amazon the world's best company, why amazon is better than alibaba, world's best online company.